Amazing auction items up for bid! What is Spinal Chord Gala all about? Check out this video, created for us by Life Studios. One highlight of the Spinal Chord Gala is the array of silent auction items up for bid. Artwork, adventure, dance lessons, concert tickets, gift certificates, and more – there’s something for everyone. Proceeds from the auction go towards supporting the Vancouver Cantata Singers and spinal cord injury research at ICORD. Go home with something unique, knowing that the money spent goes towards worthwhile causes. 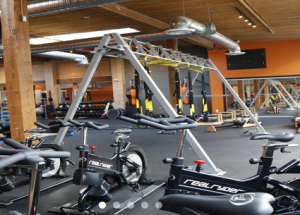 Valued at $110 each, Ozone Boutique Fitness is offering one free personal training session for every attendee of the Spinal Chord Gala! Achieve your fitness goals with the help of Ozone’s on-site professional kinesiologists and nutritionists. You can also bid on a one-year membership or a three-month membership in our silent auction. from Aphrodite’s Organic Cafe & Pie Shop Receive a monthly treat from Vancouver’s renowned pie specialists, Aphrodite’s Organic Cafe & Pie Shop. This unique prize is valued at $400 and would be a perfect holiday gift for family and friends. 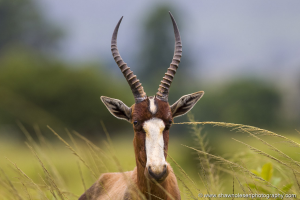 Relax in an all-inclusive Zulu Nyala Safari Lodge located in one of South Africa’s richest wildlife regions. Dine on authentic African cuisine while enjoying the sight of lions, zebras, buffalo, and other animals you won’t see anywhere else in the world. Want a vacation you won’t forget? With a value of over $6,000, this is your silent auction item to keep an eye on! with FirstDance Vancouver Know a soon-to-be-married couple? Why not give them some private dance lessons for the first dance at their wedding! Unique and useful, your friends will be thanking you for your thoughtfulness! with Mink Hair and Make-Up Wow your friends at your next party with the help of Mink Hair and Make-Up! This auction item is the perfect girl’s night out indulgence. from Nannies On Call Relax with ease knowing that pre-screened Nannies On Call are taking extraordinary care of your children on your night out. This auction item is perfect for parents who are in need of a break! with iDance Vancouver Become a pro at dance styles including hip hop, street jazz, and Bollywood, with a one-year dance membership. iDance offers classes in a variety of dance styles every day of the week! Bring some beauty into your home with this lovely, hand-carved wooden house wren! 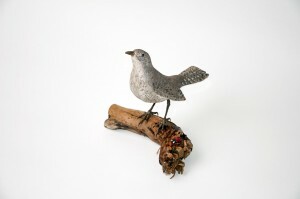 This is a great item for bird and nature lovers. Look for other hand-carved wooden items created by instructors from Tetra Society Woodworking shop. at the Chan Centre for Performing Arts, Vancouver Playhouse, and Goh Ballet. Surprise your partner or a friend with tickets to music and dance shows around Vancouver. Spoil yourself with some goodies and gift certificates from the Sutton Place Hotel, Rogue Kitchen & Wetbar, Studio 209, Uncle Fatih’s Pizza, Original Joe’s, Harbour Dance Centre, Bean Around the World, and more! Don’t miss out on a chance to bid on these items. Purchase your tickets today! An $80 tax receipt for each ticket purchased will be provided. This entry was posted in NewsAndEvents by ckwok220. Bookmark the permalink.